EXTREMELY FINE GEM. A BEAUTIFUL MINT NEVER-HINGED EXAMPLE OF THE 50-CENT 1902 ISSUE. ESPECIALLY SCARCE WITH THE PLATE NUMBER SELVAGE. EXTREMELY FINE MINT NEVER-HINGED EXAMPLE OF THE $1.00 1902 ISSUE. 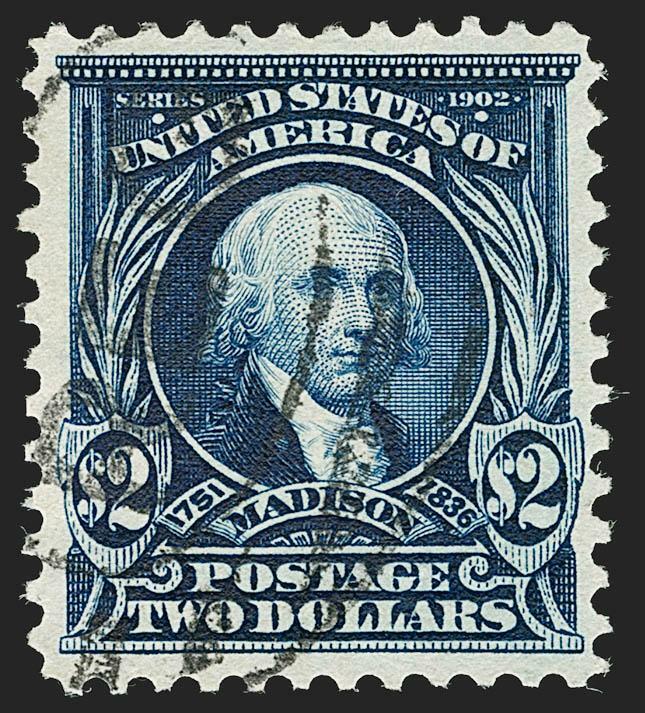 VERY FINE AND CHOICE MINT NEVER-HINGED EXAMPLE OF THE $2.00 1902 ISSUE. ESPECIALLY DESIRABLE WITH THE WIDE PLATE NUMBER SELVAGE. Only five plate blocks of this issue are recorded, with only one from the top position. We have offered two imprint and plate number strips of three, both bottom positions, with perfs into the design on both. This is the only plate number single we have offered since keeping computerized records. It should be considered a phenomenal rarity, by virtue of its pristine Mint N.H. gum, centering and the presence of wide top selvage. EXTREMELY FINE GEM. A STUNNING MINT NEVER-HINGED EXAMPLE OF THE $5.00 1902 ISSUE WITH EXTRA WIDE BOTTOM PLATE NUMBER SELVAGE. A TRUE CONDITION RARITY. 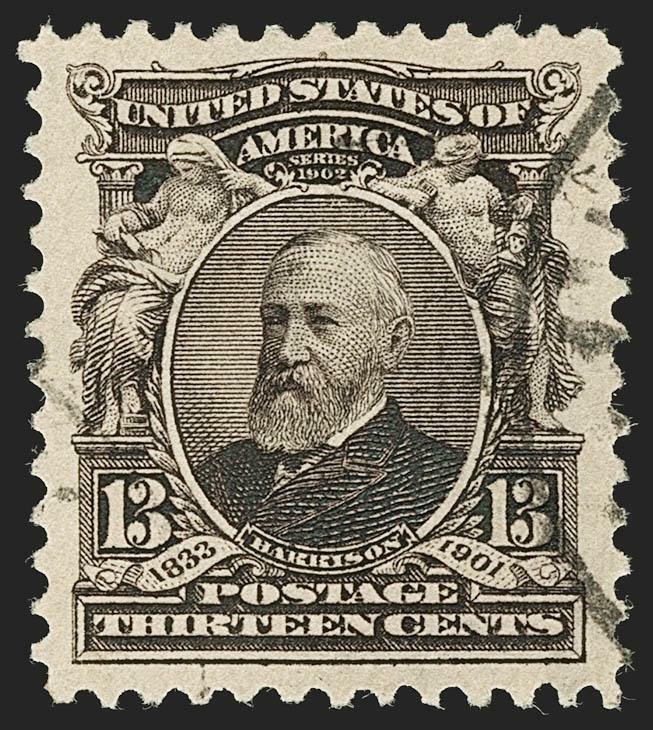 The 1902-03 Second Bureau Issue was a great improvement over the Bureau's first efforts in 1894 and 1895. 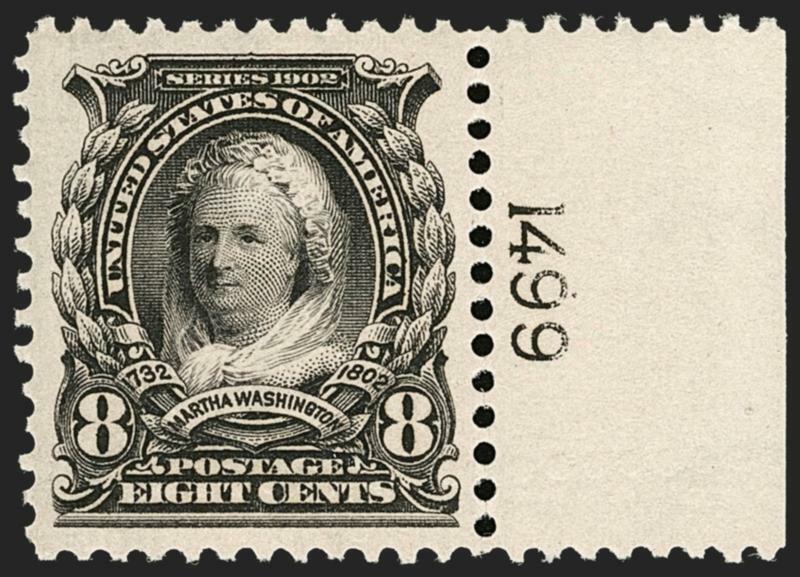 Perforations tend to be cleaner, and centering better, but the large plate layout and perforation method still resulted in a large number of poorly centered stamps. 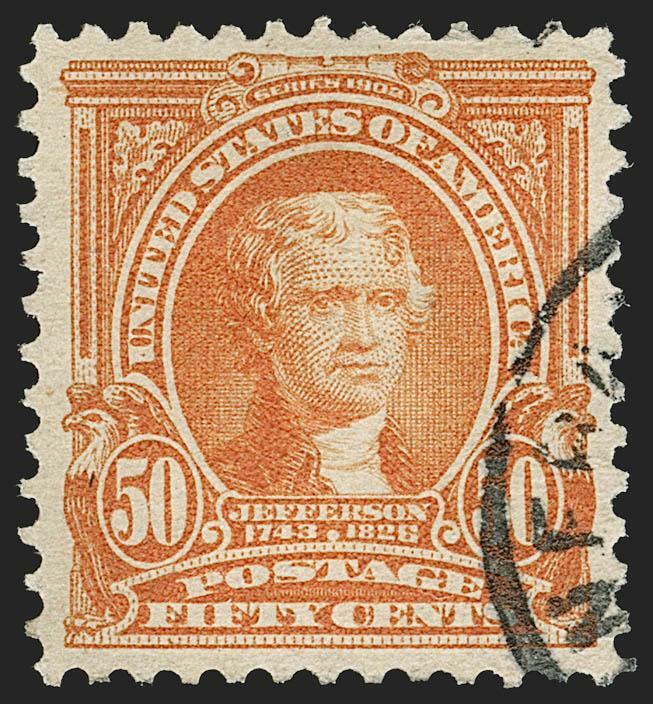 Furthermore, stamps issued in choice condition seldom stayed that way, because the boom in stamp collecting that began with the Roosevelt administration caused hordes of hinge-bearing philatelists to mount stamps over and over again. 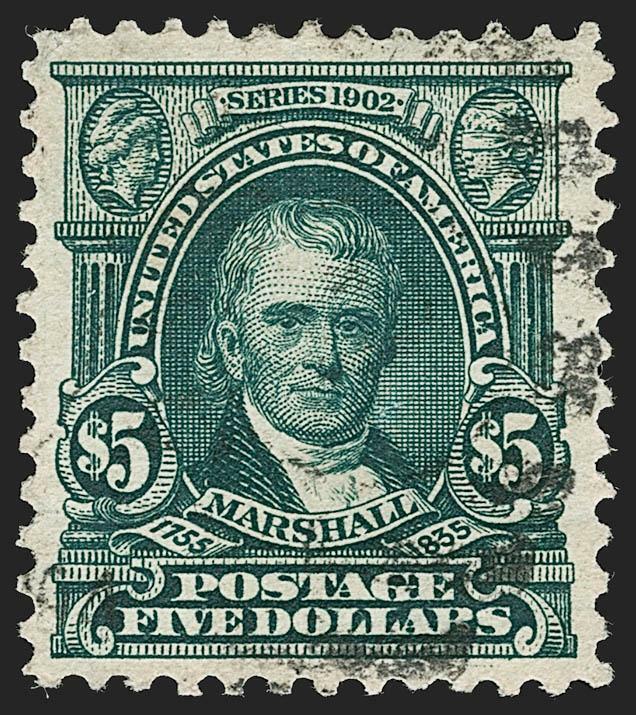 For this reason, today's collectors have grown accustomed to paying many multiples of Scott value for Extremely Fine stamps in Mint Never-Hinged state. This is especially true when it comes to the $5.00 denomination. This fact is made abundantly clear when one realizes that the highest grade awarded by P.S.E. 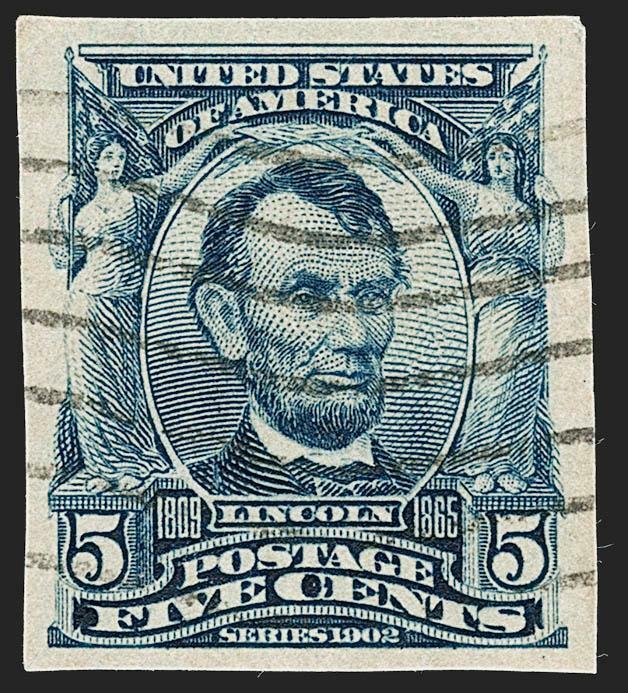 to a $5.00 value in Never-Hinged condition is 90, given to only three stamps. 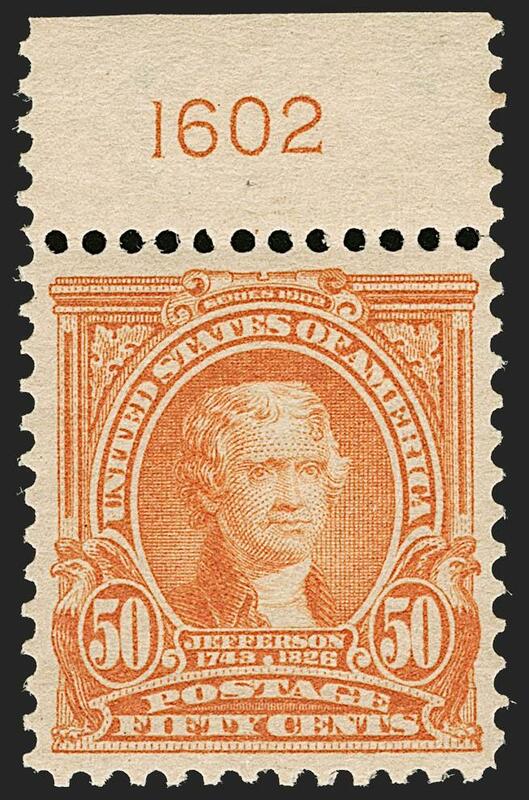 The stamp offered here has not been numerically graded, but its quality is self-evident. 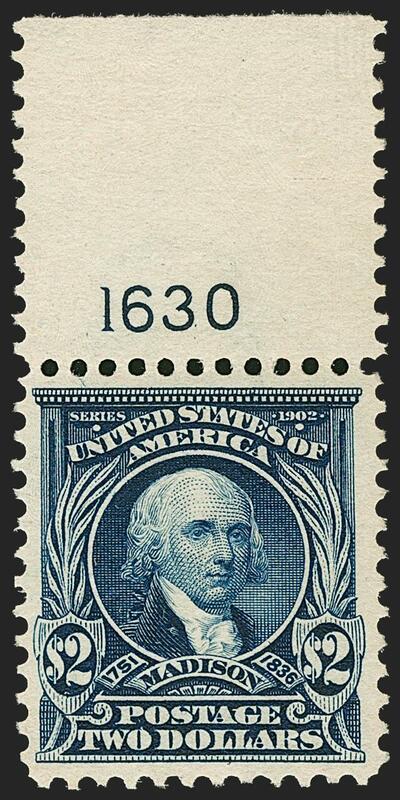 Only two $5.00 plate blocks are available to collectors. 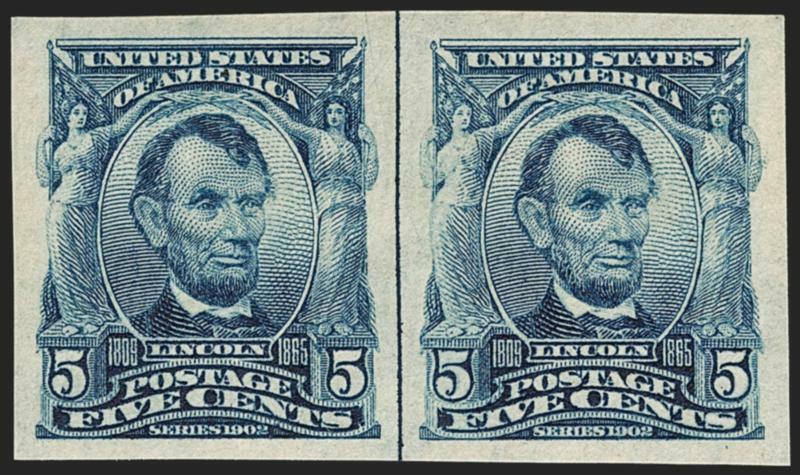 We have offered two other Mint N.H. plate number singles, but neither compares favorably to the one offered here in terms of selvage size or centering.